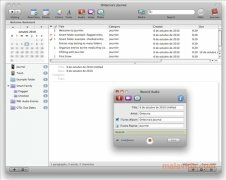 Journler is a software application that will perform the functions of diary, notebook and multimedia storage in which everything will be organized chronologically, everything also integrates with iLife. 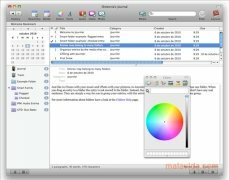 This software is an excellent organizer that will allow you to add text notes, tasks and notes to the calendar, images, videos and audio without any problems. The interface is very similar to that of an email client, but how it works has nothing to do with the latter. 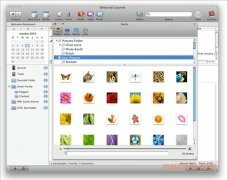 With Journler you'll be able to save notes, edit them and, specially, organize them. Its intelligent folders will help you to know what tasks require your attention. One of the weirdest functions and at the same time most useful is the Lexicon, a tool that will index all the notes, and establish connections between them. 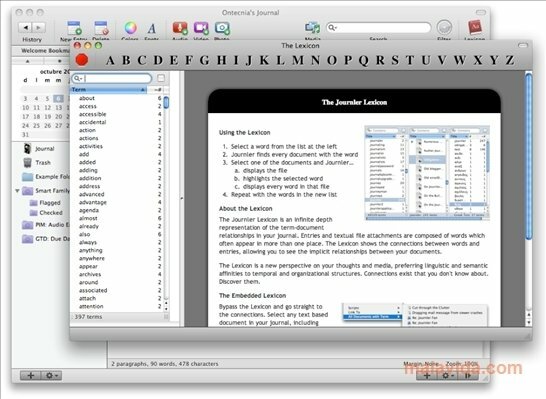 According to the words, theme, category or date, Lexicon will make Journler a much more effective application. 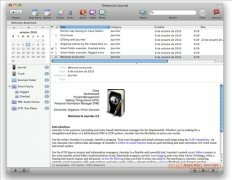 All in all, when you download Journler you'll obtain an excellent organization software application with advanced options and integration with iLife and iTunes, which will allow you to take your notes with you on your iPod. This download requires Mac OS X 10.4 Tiger or above.